Last Friday at the edge of the Oval, it was reported that the burgeoning 3-week old ant colony was rocked by several natural disasters, including massive floods caused by a spilt water bottle and freak wind patterns due to a passing lawn mower. These occurrences have severely set back the flourishing civilization located in the fertile crescent under a tree at the base of the Oval. The anthill was a hotbed of science and innovation, boasting an extensive tunnel network extending as far as three feet in every direction. A culture of art and art appreciation had only just begun to develop, producing such great literary works as the Antneid and the paintings of Michelantgelo. 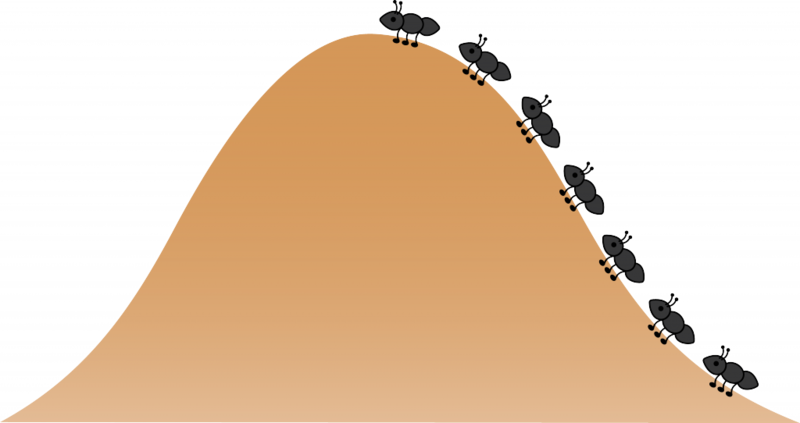 Not only a center of innovation, the colony, nay, empire had also embraced a democratic government that utilized an executive Presid-ant overseeing an extensive senatorial and bureaucratic system which provided ants with such resources as socialized leaf access and a 2 inch higher ant hill to show their dominance of the region. The ants’ empire also maintained one of the most powerful militaries ever witnessed by the Oval, with soldiers whose mandibles could lift even the largest twigs, and a standing force of 3000 ants. Many other insects around the region are now scrambling to fill the power vacuum left by the anthill, with the Northern Oval Beetle Warlords quickly mobilizing to invade the region. Emperor Beeteleus Maximus was reportedly seen stirring his troops at the borderlands rallying them with the call, “Do not let the hour slip! Only we, the mighty genus of Coleoptera, have true claim to the fertile crescent under the tree. The age of Ant is over, the dawn of the age of Beetle is upon us!” As of press time, several Stanford yard workers were seen spraying pesticides on the oval to reduce the recent increase in insects.